Float above mountains, valleys and historic sites during a Bombard tour. Feast on elegant picnic lunches while aloft. Soar over the Alps, Tuscany or Istanbul. 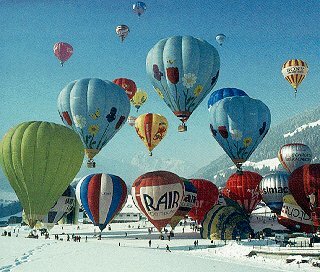 Travel picture of Balloons aloft in Switzerland.